These classes are designed for kids ages 10-15. 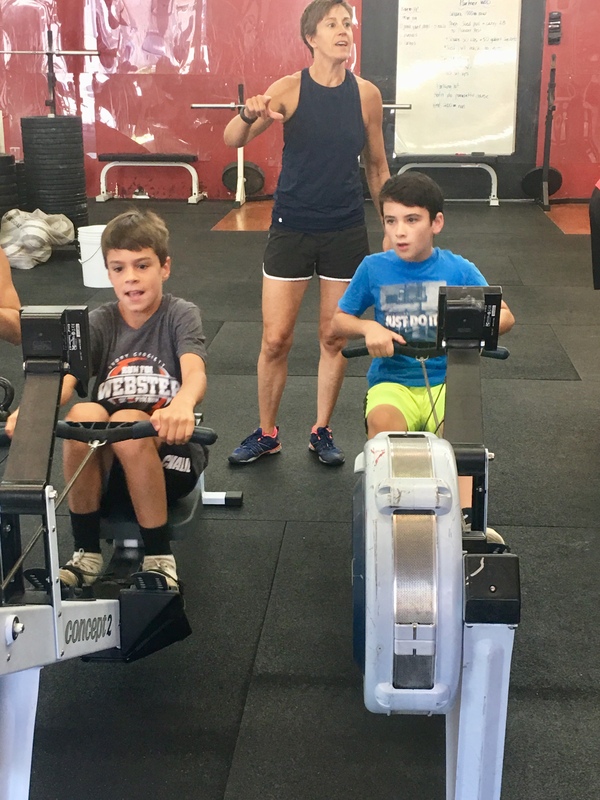 The objective of Kids’ Fit is to teach kids functional workout movements, engage them in teamwork and fun activities while developing an understanding and love for fitness. Our goal is to work hard, meet some new friends, and have fun! We let kids try one class for free. E-mail Jeff Younger at younger.jeff@gmail.com if your child would like to try a class. After one free class, go to the MindBody site (link on the left) to purchase a pass and sign up for class. If your child is under 10 and you think they’d be a good candidate for Kids’ Fit, please email Jeff Younger (younger.jeff@gmail.com) as well. Your child must be signed up in MindBody 30 min. prior to class in order for us to have appropriate staffing. Thanks for your help with this (unless they are trying out one free class)!